Do you spend a lot of time writing blog posts and creating social media content? Ever feel like you don’t have enough time to focus on both? The solution is simple: repurpose your blog content by using it in new ways on social media. In this article I’ll share how to repurpose blog content for social media platforms. Content repurposing can help you “be everywhere,” since it can be distributed in different forms on multiple social media sites. It also helps you reach people who would not consume the content in its original form. Repurpose your blog content for social media networks. When you repurpose your content, you share your information in different formats that appeal to people with different learning styles. 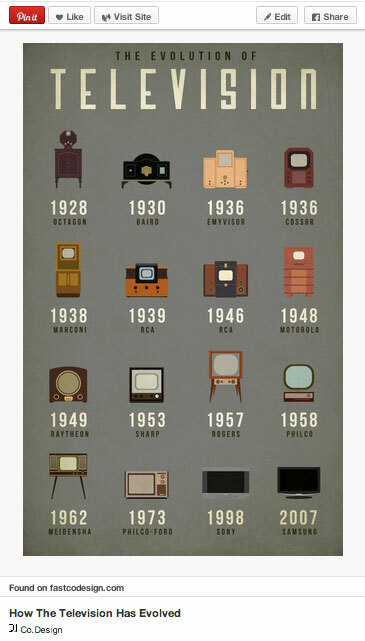 Some people love to read, others prefer to listen and many process information better when it’s presented visually. While you may want to create original content yourself, content repurposing can save time. 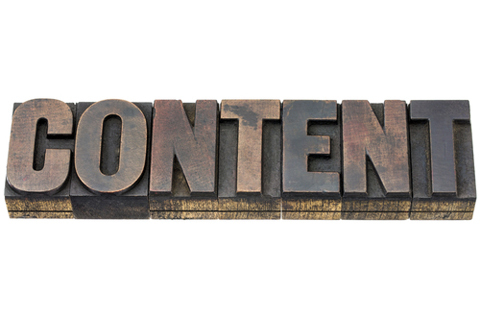 And you can also consider outsourcing your content repurposing tasks to save even more time. Repurposed content starts with material you’ve already created that contains your voice and expertise. It’s much easier for a writer, social media manager or other team member to create repurposed content that sounds like you than it would be if they were to start from scratch. 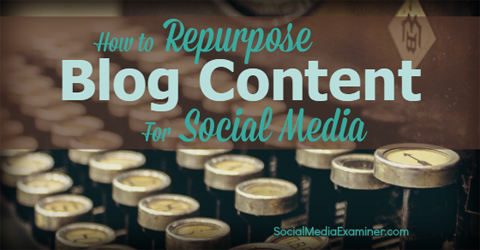 Here’s how to repurpose blog content for social media. Starting with your own solid content. Image: Shutterstock. To get started, select a solid piece of content. Choose a blog post that got nice traffic or good feedback, or just has excellent information. Then look for snippets of the content that are optimal for repurposing on social media. There are several ways to analyze blog posts to find golden nuggets of content that you can turn into a status update, a tweet or a photo. Outline the content. Create a detailed overview of the blog post. While it takes a little bit of time to pull off, this provides a great snapshot of the content. To save time, get in the habit of creating an outline before you write the initial piece of content. Make a list of the main points. Think of it as a simpler way to write an outline. This is especially easy to compile for list posts, but can work with any type of content. 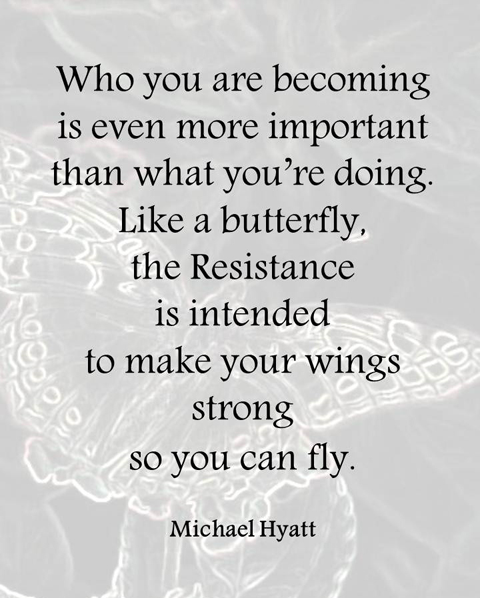 This quote was taken directly from the transcript from episode 44 of Michael Hyatt’s podcast. Highlight content that can be easily made into one-liners. Quotes and statistics are great snippets to use for one-liners. Sometimes you’ll be able to use a direct quote. In other instances, the quotes will need to be reworked. But any small bits of information can be turned into content for at least one social media platform. Once you mine your best blog posts for good content, that information can be adapted for a variety of social media platforms. Different social media platforms highlight alternate types of content, although there’s definitely some overlap. Obviously Pinterest is the best place for a graphic, but there are ways to post graphics or links to them on other platforms. It’s the same thing for videos and YouTube. Plus, the 140-character limit on Twitter means you have to be thrifty with your words. And you can use the outline from Step #1 for a SlideShare presentation. Take the outlines, bullet points and highlighted information you pulled from your original content, and decide the best way to repurpose it. Here are my recommendations on how to use this content on five popular social media platforms. Twitter is one of the easiest places to post repurposed content. 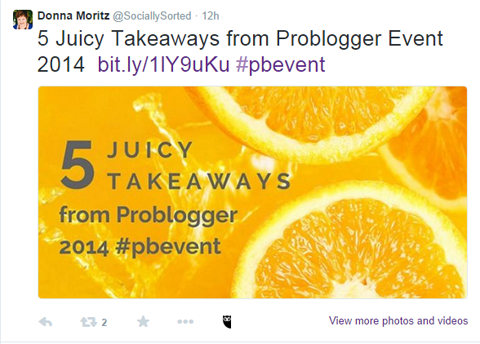 Turn small snippets of your content into tweets, and then link back to the original post. For best results, try to limit the tweet to around 120 characters, so there’s room for people to retweet it. Here’s an example of a tweet using an image that links to a blog post title. If you really want your tweet to stand out, add the tweetable info or blog post title to an image. Upload the graphic to Twitter using the link to the actual post in the tweet. It’ll increase the number of times that the post is retweeted. By the way, the optimum size for Twitter images is currently 1024 x 512 pixels. Looking for an easy way to create images for Twitter? 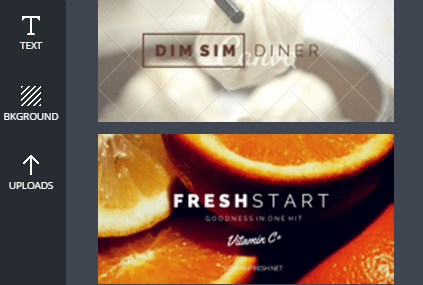 Check out templates in a graphics site like Canva. Use free Canva templates to create images for social media. Canva literally walks you through the process. Choose the template, upload the image and add text. Canva walks you through the process of creating tweetable images. Choose the template, upload a graphic and add a background and text. Working with graphics may seem intimidating at first, but once you get the hang of it, you’ll see how easy it is to make a statement using images and a minimum amount of text. Use a similar content combo on Facebook as you did on Twitter. Add quotes, statistics, etc., to links and post them. While this is an excellent strategy you can use on multiple platforms, try not to post the same content on different networks at the same time. Although you’re not limited to 140 characters on Facebook like you are on Twitter, still try to write posts that are short and to the point. Also, stay conversational in tone. Regardless of the length of the post, also use images on Facebook. The images you select can support the rest of your content, or in some cases even stand alone. 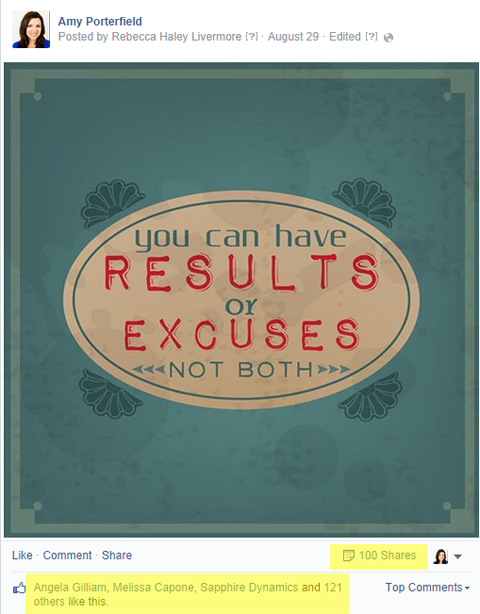 An image with a quote can do the talking for you on Facebook. This one from Amy Porterfield’s Facebook page was shared 100 times and liked by more than 120 people. One great thing about putting a quote in an image is that you can post it on Facebook as is, without any additional commentary. Another option is to use the same text found on the image in the actual status update. 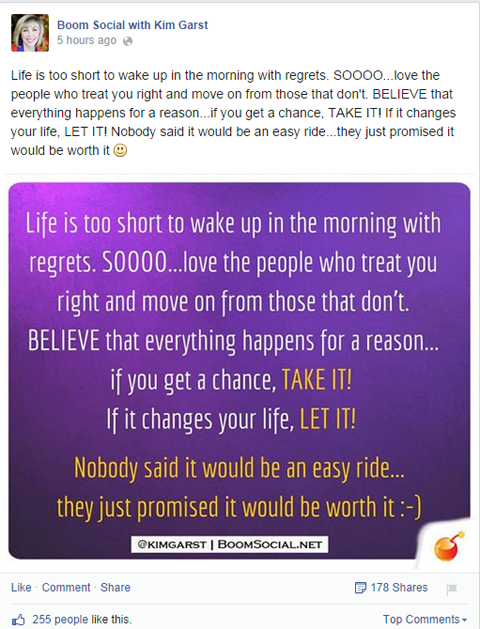 Add the text from the image as a status update in Facebook, as Kim Garst did on her page. This one got 178 shares and more than 250 likes. What works well on Facebook is always changing, so experiment to see which method (image alone or image with text) gets the best engagement. While there are multiple options for image size on Facebook, square images work best because they look great in the news feed, timeline, and on mobile devices. The current recommended size for Facebook images is 1200 x 1200 pixels. 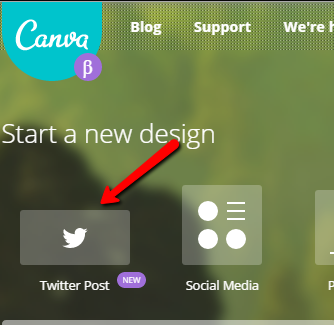 As is the case with Twitter, you can also use a social media template in Canva, rather than starting from scratch. Pinterest is all about visuals. This is where you can go into more depth with your images and explore other shapes and sizes. Create basic content such as quotes and blog post titles, similar to what you’d do on Facebook and Twitter. However, longer how-to’s and infographics do well on Pinterest. You can use graphics programs or even PowerPoint to create complex images for your social media platforms. Remember, just because an image contains a lot of information doesn’t mean it has to be complicated. Present a lot of information with a simple but eye-catching image like this. If you need help creating infographics or more detailed images, try tools made specifically for that purpose, like Infoactive and Infogr.am. Note: both of these have free and premium versions. SlideShare is a great place to use repurposed content that’s more in-depth. Take your outline or bullet points, divide them into pages, add images and create a SlideShare. 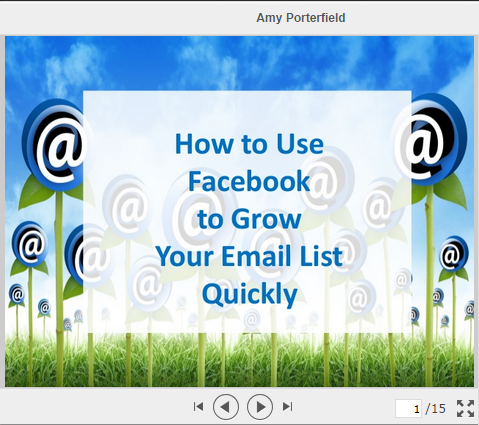 Even easier, take a webinar you created in PowerPoint and turn it into a SlideShare. While you may use very few words on slides for a live presentation, for best results in this case, use a decent amount of text (without going overboard) in SlideShare presentations, since you won’t be there to explain it. The presentation should stand on its own. Take a webinar or blog post outline and turn it into a SlideShare. This platform allows you to provide much more information than you ever could on Twitter, Facebook or Pinterest. After you’ve created it, use the previous techniques to create tweets and posts that lead to your SlideShare presentation. 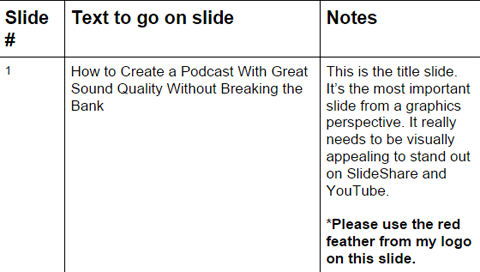 If you’re going to take the time to repurpose content for SlideShare, why not optimize the same presentation for YouTube? Create an audio track or upload a music clip to your slide show. Add a few simple animations. Then turn it into a video and upload to YouTube. Another option: do a quick video with you summarizing or introducing a piece of blog post content, and then link to the actual article. For example, share one of the 10 amazing tips from the blog post via YouTube video and refer your audience to your website so they can read the rest. 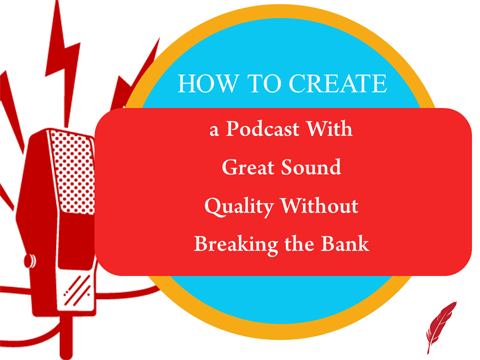 As I mentioned earlier, repurposed content is easy to outsource without losing your voice. Whether you work with an internal team or have a virtual assistant, provide detailed instructions so you get exactly what you want. When you outsource content tasks, write instructions that clearly communicate your preferences and expectations. For instance, when I outsource the creation of PowerPoint presentations for SlideShare and YouTube, I provide specific steps for the person doing the work. I include a chart with what to say on each slide and what to link to, as well as image preferences and other notes. If your instructions are clear, your slides will closely resemble your request. This slide included all of the requests I noted. While it takes time to write up these instructions, in the long run it’ll save you time so you can work on creating new content. Content repurposing is a cycle. Write a blog post and repurpose it for SlideShare and YouTube. Then use those presentations to create content for new blog posts. (Be sure to embed them in the post.) Use Twitter, Facebook, Pinterest and a host of other social networks to drive traffic to both. For example, I wrote a blog post based on a webinar transcript. I used the information from the blog post to create this SlideShare presentation and then embedded the SlideShare presentation into a new blog post that followed up on the original. Any piece of content can be repurposed in multiple ways. You just have to mine it for content and adapt it for the specific social network. What do you think? Do you repurpose your longer-form content for social media? What tips for repurposing do you have? Please leave your comments below. Content word photo from Shutterstock. Rebecca Livermore is the owner and founder of Professional Content Creation, a company focused on training small business owners to effectively use content to expand their reach and influence.